The X-rays were discovered in 1895 and the therapeutic effects were soon recognized. The first therapeutic use was in the early 1896 in a patient with recurrent carcinoma of the breast. Despite the technical limitations of the early equipment, tumor shrinkage and at times complete elimination of the tumor were noticed. 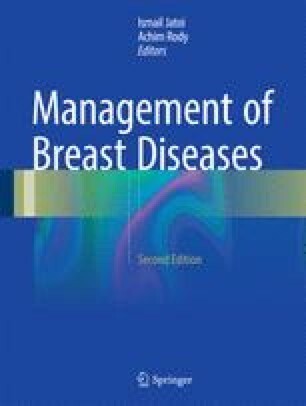 However, the full potential of radiation therapy could not be achieved in those early days because of the limited knowledge regarding fractionation, treatment techniques, and uncertainties in how to calculate the tissue dose so as to deliver safe and effective doses of radiation. Much has changed in 120 years. Linear accelerators, megavoltage beam, and fast computers have revolutionized therapeutic radiation. The technological advances allow the delivery of the therapy more efficiently and accurately. Implementation of computer tomography-based three-dimensional treatment planning, intensity-modulated radiation therapy planning, and image-guided therapy are all resulting in decreased morbidity. Radiation is a major component in the treatment of all stages of breast cancer from ductal carcinoma in situ to metastatic disease. The radiation decreases the risk of locoregional recurrence, improves survival, and is used to palliate symptoms. It is indicated as adjuvant therapy after lumpectomy where it replaces mastectomy or postmastectomy. If the axilla is clinically negative and the sentinel node biopsy demonstrates low disease burden, radiation can substitute further axillary surgery resulting in decreased morbidity. Consultation with a radiation oncologist is an essential part of the multidisciplinary management of breast cancer.